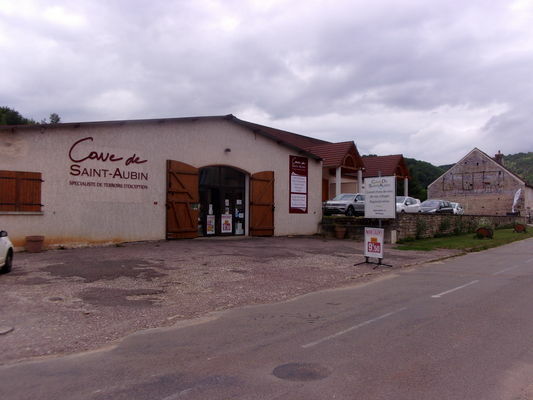 The Cave de Saint-Aubin is located at the heart of the Côte de Beaune, the birthplace of the world's greatest white wines, a stone's throw from the famous Mont-Rachet. It includes a fine selection of great appellations from the Côte de Beaune (Chassagne-Montrachet, Puligny-Montrachet, Pommard, etc. ), the Côte de Nuits (Gevrey-Chambertin, Nuits-Saint-Georges, etc.) and the Côte Chalonnaise (Montagny, Rully, Mercurey,etc.). Bag-In-Box wines are also available for regional appellations at very attractive prices. The cellar specialises in the sale of Burgundy whiskies, Crémant de Bourgogne and other alcoholic beverages.